We offer an array of terminal blocks that are robust in structure and have better performance level. Our products conform to the highest quality standards of quality and have been designed as well as developed by our expert technocrats. 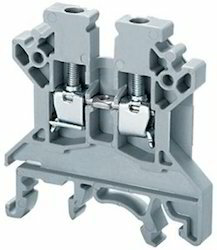 Our range of terminal blocks include: Elmex Phonexis Connectwell Wago. 3 Phasex 4 wire test terminal blocks with cover. screw type front connection. TB series fixed terminal blocks: 15A to 100A in 2P, 3P, 4P, 6P, 12P connections. TC series fixed terminal blocks: 60A to 600A in 2P, 3P & 4P, connections. We are instrumental in offering Control Terminals to our clients. Our range of Control Terminals is widely appreciated by our clients which are situated all round the nation. Control Terminals are applied electronic devices suitable for Control Panels. We offer our range of Control Terminals at most affordable prices. From high-quality standard modular terminal blocks to sector-specific connecting terminal blocks, Phoenix Contact has the ideal solution for any of your requirements. 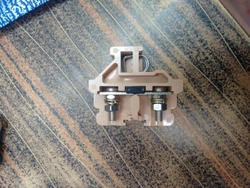 Irrespective of whether you decide on screw connection, spring-cage technology, leg spring connection or QUICKON fast connection method.